Two ordinary citizens who rushed to help victims of yesterday's van attack in Toronto say that first aid training helped them to keep a cool head, and are urging others to take the classes. A man who rushed to help victims of the deadly van attack in Toronto is urging Canadians to ensure they have first aid training. 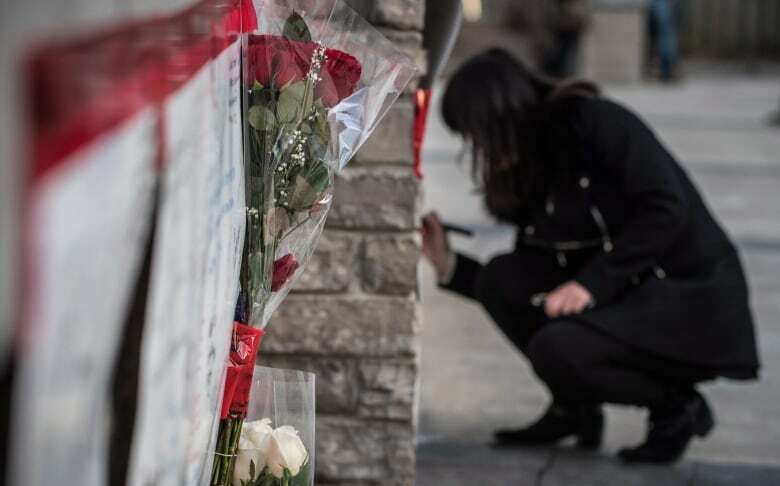 Taras Kulish was having lunch in a Yonge Street restaurant when a white van crashed past the restaurant's storefront, taking part of the patio's wooden deck with it. He himself has only had minimal training, but it was enough to guide his response, and he thinks everyone should be equipped to help. "You don't want to feel powerless," he said. "You want to be able to do and to respond in the best way that you can." 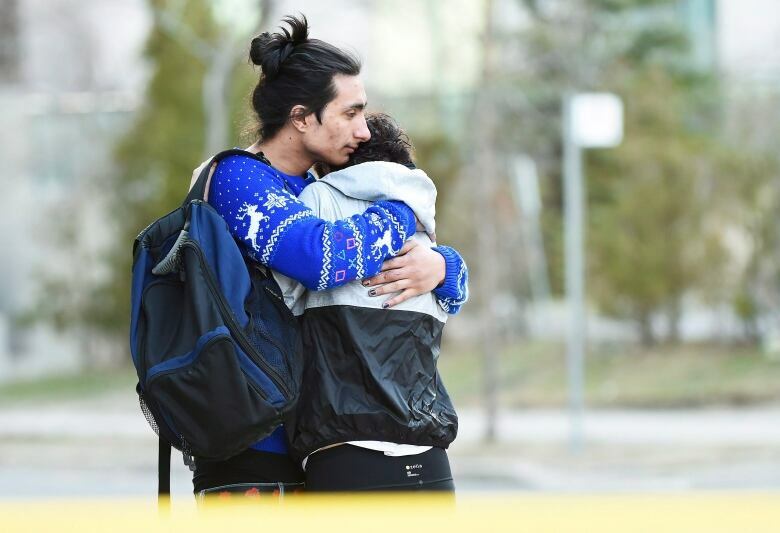 Police say the alleged driver, Alek Minassian, travelled several blocks in the Yonge and Finch Avenue area of North York Monday afternoon, plowing into pedestrians and causing panic. The 25-year-old Richmond Hill, Ont., man is charged with 10 counts of first-degree murder and 13 counts of attempted murder. When Kulish and his friend got outside, they saw a man lying on the ground about 20 metres away. They immediately ran to help. The man was alive but bleeding and in distress, Kulish said. He had been dragged approximately 25 metres by the van, and his injuries had left his body "twisted." "There was one lady who was asking to turn him around or to untwist him," he said. "We didn't want to do that because you don't know if you move somebody... if there there could be a bone that could pierce through skin or something." "I said: 'No, don't touch him. Just comfort him.'" High above the street, Aras Reisiardekani was at home in one of the high-rise condos that dot the area. When a family member at the window saw the van hit someone, Reisiardekani didn't hesitate. He has first aid and rescue operation training, and rushed downstairs to what he presumed was a hit and run. He ran to the first man he saw, but as he looked around for help he began to notice other victims: two to the north, then two more to the south. "In a very short distance around me, there were five individuals who had been seriously injured," he said. He was able to keep calm, he said, because his training kicked in. "There was no time for emotional hysteria — it's their time to help, and save someone's life." Reisiardekani praised the other bystanders who pitched in to help. There was no hysteria, no panic, he said, people just wanted to help. "That was wonderful," he said. "The community came together." Further along Yonge Street, Kulish's friend couldn't get through to 911 — lines were jammed — so he ran back into the restaurant to use their landline, and to ask the owner for towels and water. There were other cars and people chasing the van and trying to stop it, he said, but his focus was on the pedestrian. When a fire truck came up the street, he stood in the middle of the street to direct them to the man they were helping. He thinks that watching his mother and sister train with the Canadian Ski Patrol helped his response — even though they trained years ago when he was a teenager. He now plans to push for more first aid training in his workplace, so more people are equipped to help in an emergency situation. An event like this has far-reaching effects, he said, and witnesses should seek out help in processing what they saw. "There's a kilometre stretch of road, and there's thousands of people who are affected in different ways," he said. This segment was produced by The Current's Samira Mohyeddin, John Chipman, Ashley Mak and Jessica Linzey.